Another 45 communities are in the making. 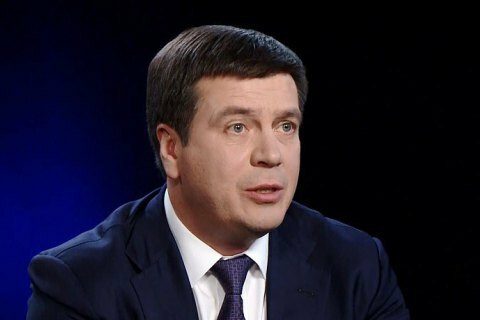 In Ukraine, 209 communities have been created to date and another 45 are awaiting for the approval of their status, Deputy Prime Minister and Minister of Regional Development, Construction, Housing and Communal Services Henadiy Zubko said in an interview on the Left Bank with Sonya Koshkina talk show on 24 October. It is quite difficult, Zubko admitted, to introduce a new system instead of the old one "to which people have accustomed themselves and feel comfortable to live in." In addition, a lot depends on the adoption of amendments to the Constitution of Ukraine in part of decentralization. "As the changes to the Constitution have yet to be adopted, we need to beef up the responsibility of heads of administrations to make them communicate with the people. They have to carry out not only political, but also economic and public awareness work. Furthermore, locally elected council people should think about recruiting management teams, which will perform the functions that are today assigned to district and regional administrations," said Zubko. The creation of talent pools, deputy prime minister reminded, is provided by the law on civil service. "The president has promised [to reduces his powers] and so he does. He suggests amends to the Constitution. The prime minister is also responsible for the success of the reform," Zubko says. "The budget in 2017 should be adopted in view of strengthening of local self-government. However, a part of responsibility and authority should be shifted down to the regions, which also implies some risks. Among political gains is that mayors and local government have a better knowledge of the people they work with. "Frankly speaking, the responsibility now outweighs the gains that the reform may bring. However, the result will be a success, there should be no doubts about that. Because of the success of Ukraine depends on that reform," the vice-premier concluded.